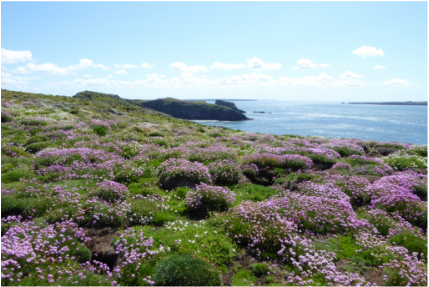 Skomer is a magical place to visit, not just for the large array of bird life but also for the amazing carpet of wild flowers (bluebells and pink campion) which covers the island in Spring. 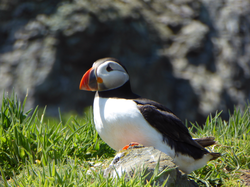 Puffins, guillemots, razorbills, Manx shearwaters are all regularly seen, as are dolphins and porpoises in the waters surrounding the island. We can organise trips for groups of 4 with West Coast birds. A RSPB reserve, Ramsey is just off the end of the St Davids peninsula.There's a 3½ mile trail round the island, which can be rugged in places but it’s the best way to see the island. The steep Western cliffs are home to ravens, peregrines and buzzards. In spring, guillemots, razorbills, fulmars, kittiwakes and shags come to nest too. Choughs also breed on these cliffs, seeking out deep fissures and caves in which to build their nests. Grassholm Island is a tiny white speck of land, 11 miles from the coast. As you approach the island, you begin to understand why it's white. 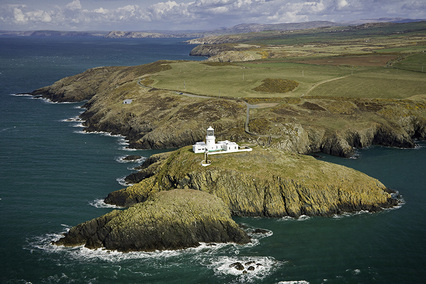 It's home to 39,000 pairs of breeding gannets, the only gannet colony in Wales and third largest in the UK. 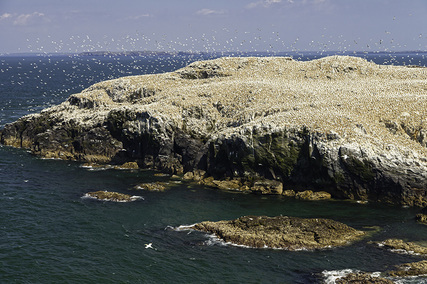 The island comes alive in early spring, with gannets returning to the island from late February onwards. The air is filled with males returning with nesting materials keen to establish territory ready to attract a female. 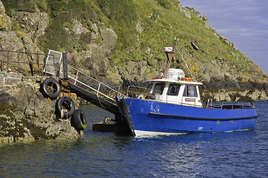 Grassholm is a RSPB reserve with a strict 'no landing' policy, but several boat operators offer trips out to island to experience the sights and smells first hand. A prominent rocky outcrop close to Fishguard, it is a favourite spot to watch seals and other birdlife. There are regular sightings of great and Arctic skuas, dainty storm and Leach's petrels, several species of tern, Sabine's gulls, great and sooty shearwaters, soft-plumage petrel, little shearwater and Wilson's petrel. 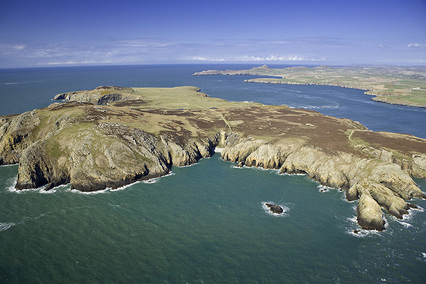 Skokholm has been owned by The Wildlife Trust of South and West Wales since 2006 and lies just south of Skomer. The island is roughly a mile in length and half a mile across at its widest point. It is home to an exciting diversity of flora, fauna and spectacular scenery. Set in a Marine Nature Reserve this island is part of a wildlife spectacle. Surrounded by reefs and rich seas the island supports an incredible diversity of wildlife, including thousands of puffins and manx shearwaters, a large population of storm petrels, plus there are often some fascinating migrants passing through, as well as being covered in a stunning array of wild flowers and lichens.